We love the 4th of July over here! Not only is summer the best season in Chicago, but I’m particularly in love with some great fireworks and bbq’s. So, in honor of the 4th, you can find this adorable free download stars + stripes banner. We whipped this up for the kids to cut out, string together, and use to decorate for our July 4th party. (So.. yep, these photos aren’t perfection… they are just our everyday… which is perfection to me). Happy 4th and happy decorating! 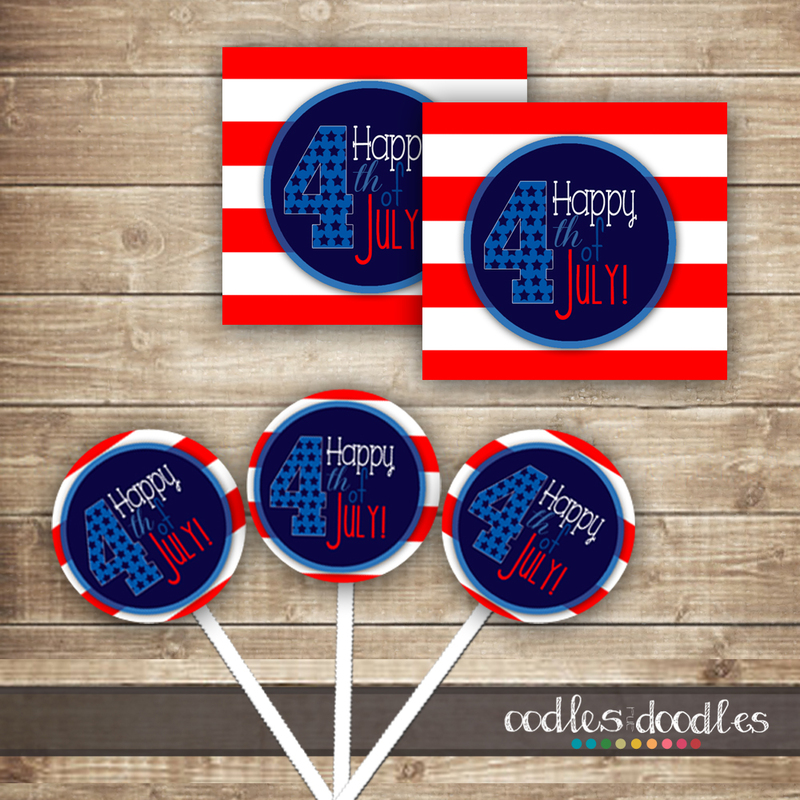 (And if you want more free printable 4th of July decorations, you can find some cupcake toppers over at this Oodles and Doodles post). 1. Download the item via Google Documents. 3. For cupcake toppers, trim into circles (or better yet.. use a 2 inch round punch). 4. Glue the toppers on to either a toothpick or a lollipop stick (you can find those in baking aisles in craft stores). 5. Or trim into squares and use these for favor tags, to decorate vases, pitchers, ice buckets, as napkin rings/ties, large confetti… you name it! Happy 4th everyone! Hope you have a great day!